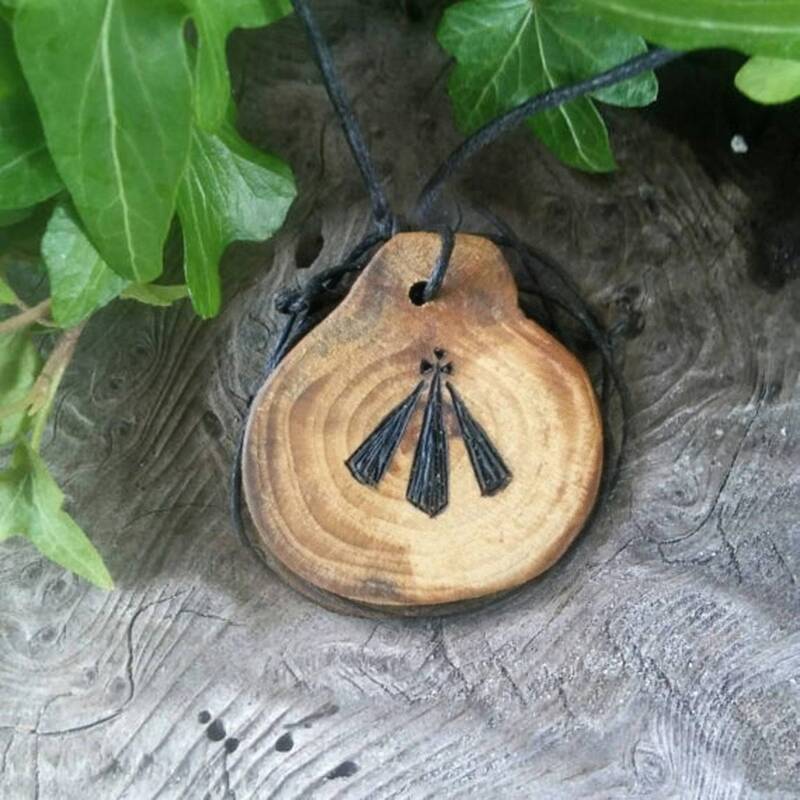 Awen is a word which has much meaning and many meanings. It appears to be a concept which was carried over from pagan Druidry into Christian Bardic tradition. 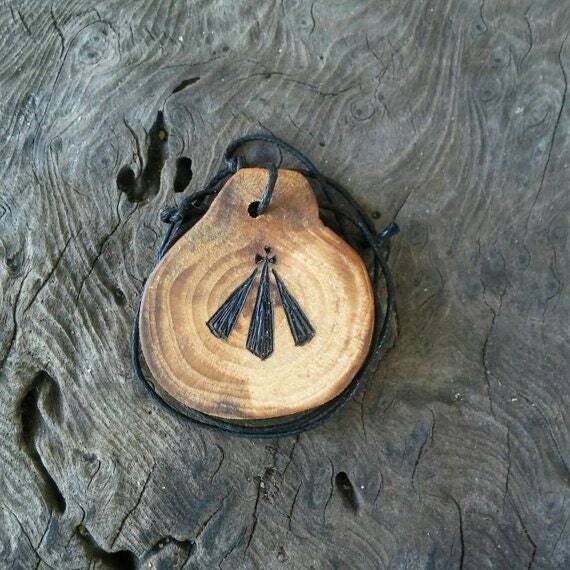 It is still very much Druidic and the symbol worn by those who follow the Druid path. If you must have words to describe Awen you can certainly use words such as "flowing", "poetic", "inspiration", "artistry", it is a symbolism of the term "poetry in motion". There are too many stories to tell to get the point of Awen across so I leave you to do your research or if you are already following the Druid path, I'm sure you could tell me a thing or two more. 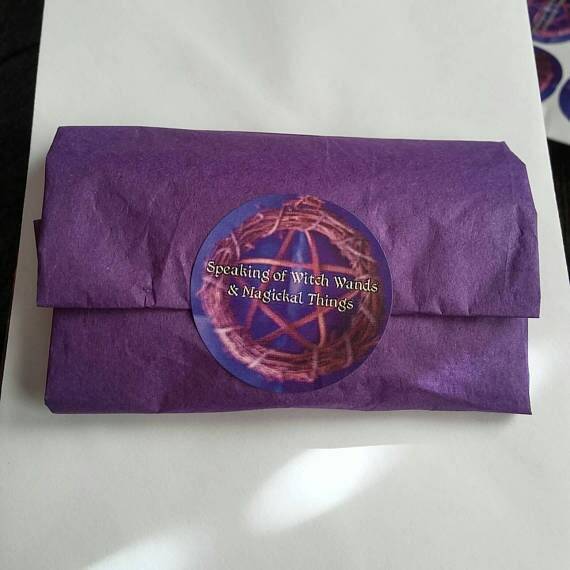 But from my own studies, I wonder if anyone could ever know everything about Awen :) Just as we could never know everything about witchcraft. 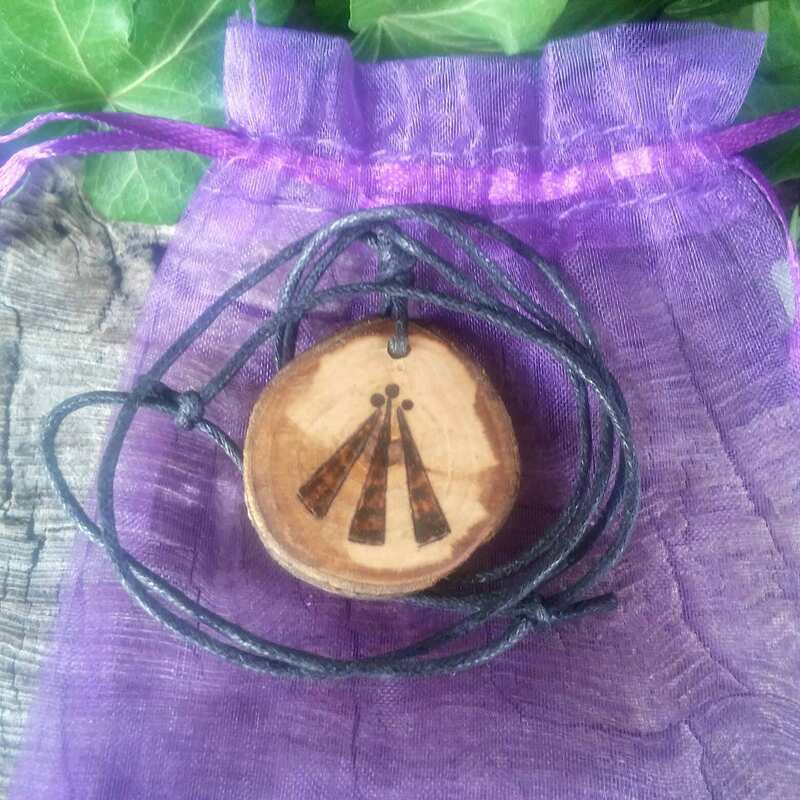 Chanting the word Awen three times is one of the methods employed by some Druid groups for opening the individual spirit to the spirit of inspiration. The chant takes the form of a long, low, vibratory mantra, similar to the Hindu Om, or Aum. 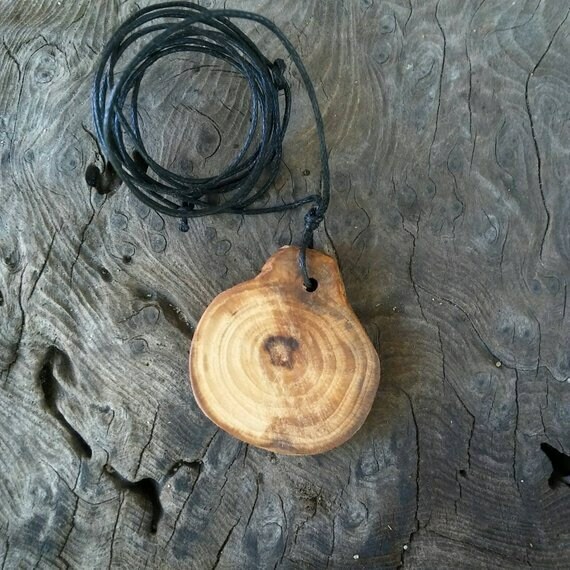 The pendant is made from a slice of Apple wood with Awen pyrographed upon it. It has been sanded smooth and rubbed with linseed oil. 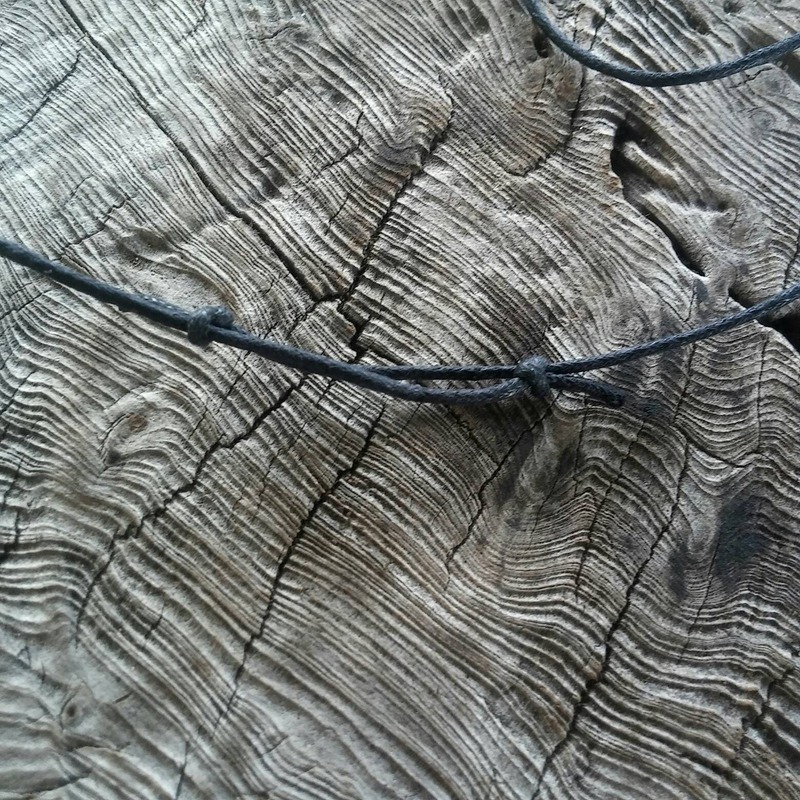 The black waxed cord has been tied in such a way to make the necklace adjustable from 24 inches and smaller.